When the Royal Oak was unveiled in 1972 it took the entire watch world by surprise. Back then, luxury timepieces were extravagant dressy models manufactured from solid gold and of considerably small size. Audemars Piguet chose to break the rules and master the unique art of creating timeless watches that defy conventions and everything that is considered ordinary. Its timepieces are luxury sports models made from amazing steel with a powerful design that revolutionizes modern watchmaking. 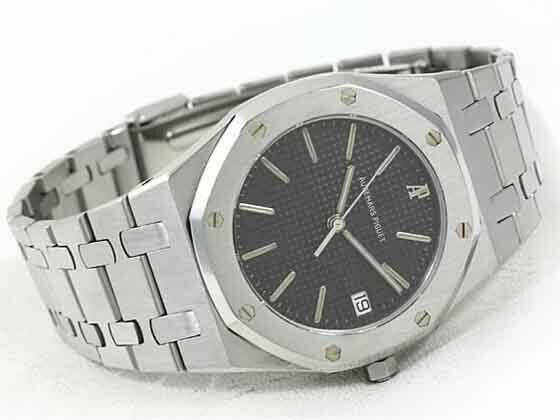 The avant-garde style of the Royal Oak has become its most notable trademark. With over 50 years of ruling the watches industry, this remarkable icon is defining for the brand’s excellence and innovative spirit. The tapisserie dial, the octagonal bezel, the masculine steel case and the integrated bracelet are just a few of the things that certify the model as a magnificent timepiece. 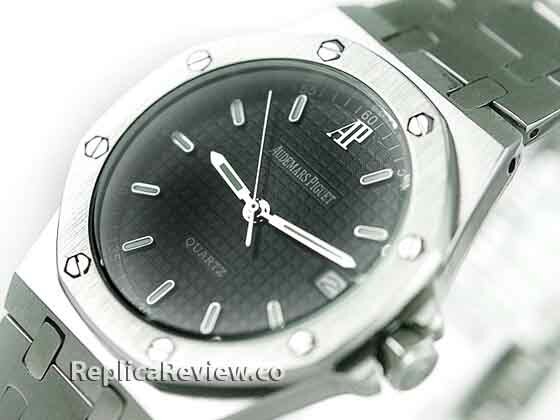 Getting an Audemars Piguet Royal Oak fake right isn’t easy. It is a task that challenges many replica manufacturers and only a few succeed to clone it correctly. The most notable mistakes are usually found on the dial of the watch. This is the part that features most complications, thus the most difficult to imitate. The tapisserie pattern is the detail that catches your eye and invites you to discover more about the product. 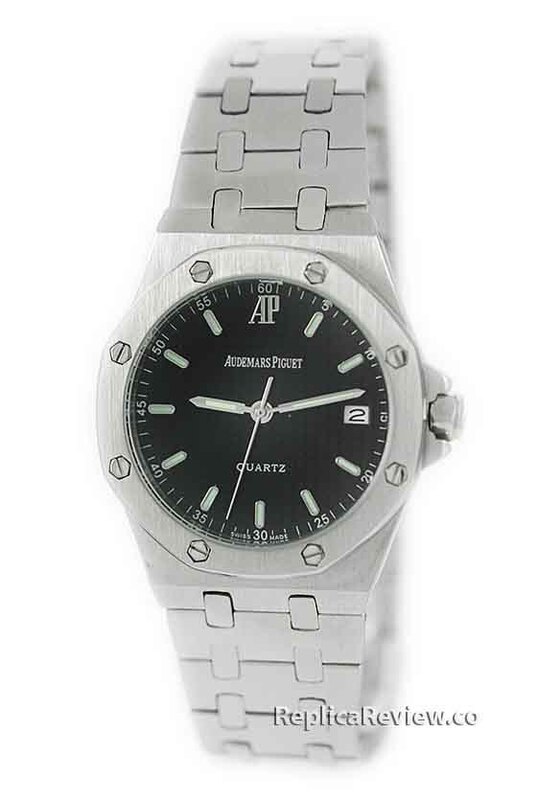 AP uses a special raised rectangular dial that has a unique shine. It is not completely matte just as it is not very shinny. Classy is the word that describes it best. For fakes it is very difficult to make this tapisserie pattern with the correct size of the raised squares. Still, there are other differences that are even more obvious as you can very well see when comparing the pictures of the replica with the one of the authentic Royal Oak. The writing on this replica is all wrong. 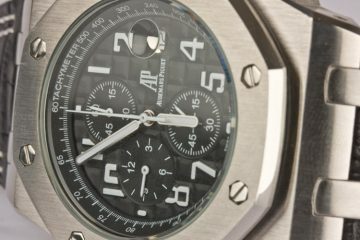 First of all, the AP logo and the “AUDEMARS PIGUET” name from the dial are larger than the ones on the genuine timepiece. Secondly, the replica has an extra writing at 6 o’clock which says “QUARTZ”. This isn’t found on the fake AP. Next there are the silver hour markers with luminescent coating. These are thin and long batons on the original watch, but on the replica their shape and thickness is way off. The knockoff has shorter, thicker and rounder hour markers that look totally different than the real ones. 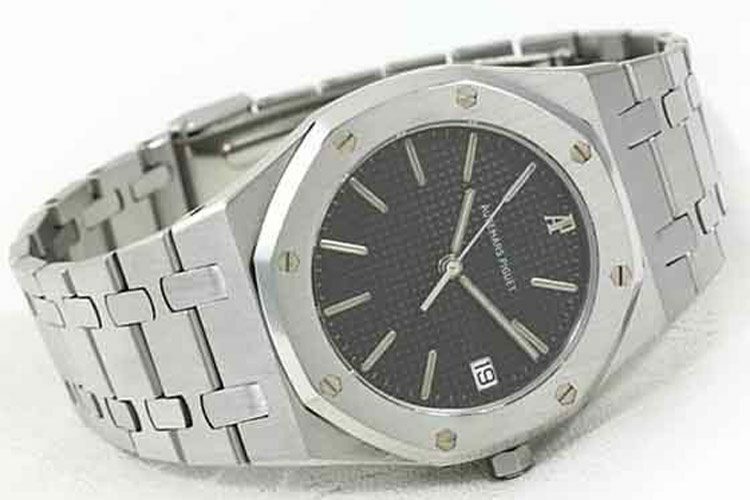 The thing that is easy recognizable on an AP Royal Oak watch is its unique octagonal shaped bezel manufactured from stainless steel and attached with eight hexagonal screws. 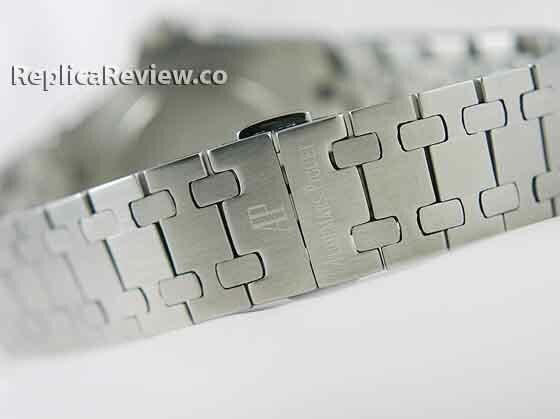 Most often, this part of the timepiece is cloned correctly as it is not very complex. A quick look at the images of the replica and of the genuine watch proves this. The bezel has the correct shape and look. 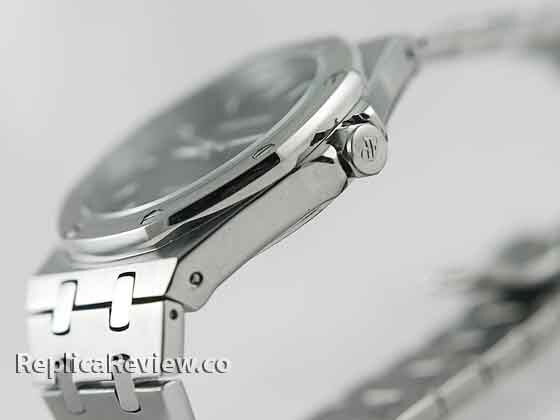 It even has the nice vertical brushing surface that is defining for Audemars Piguet. The brand is a true artisan when it comes to creating comfortable and stylish stainless steel cases. The bold and masculine stainless steel case of the Royal Oak involves an extensive technical production process and the result is extremely pleasing, still it is not something that difficult to replicate visually. This is why the brushed case, the pushers and the integrated metallic bracelet of this watch are very nice imitated on the replica watch. When you compare these two you can’t see any visible differences. 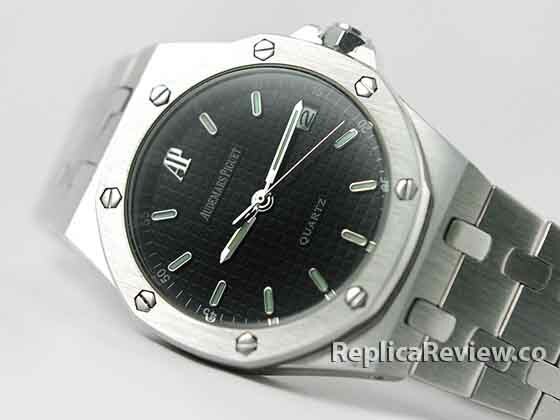 The Audemars Piguet Royal Oak is a watch that stands out from the crowd. It is a modern and sturdy model that is iconic for avant-garde horology. Its charismatic dial, uniquely shaped bezel and rugged case recommend it for outgoing men with a pronounced sense of fashion.